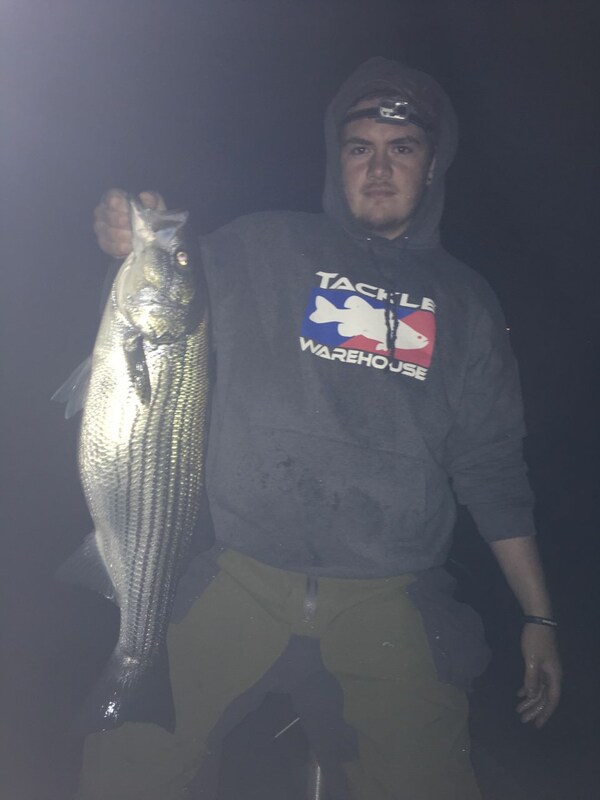 Fish last night. Slow going. Couldnt find bait up spawning. Most were suspended 10-12 feet down over 15-20 feet of water. Last stop finally had some bait. Only one nice smallie and a couple rockies. 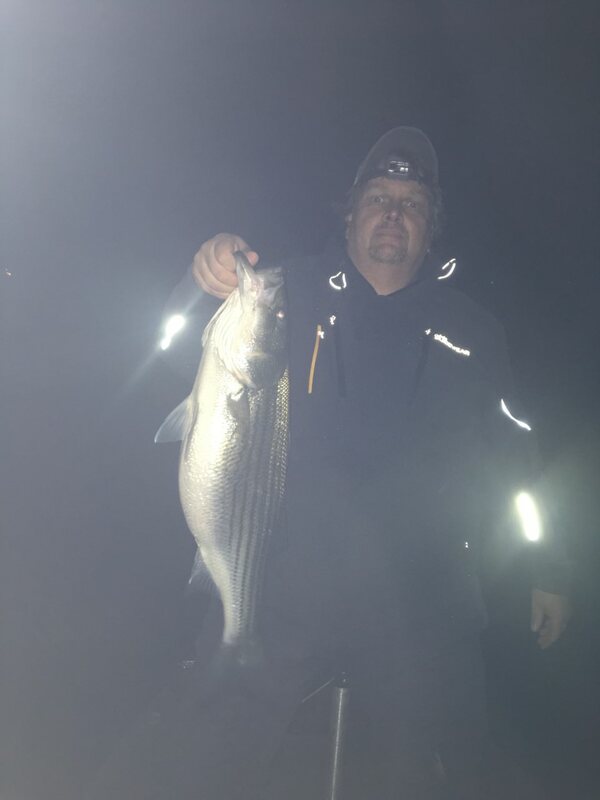 We each got one good striper. I lost a good one and Matt got one about 12". Good sign for the future.